Lainey's Ladybug: This is my OMG and while I did get the top finished, but not completed. Not bad considering it started the month looking like this. I cut out the pieces for the ladybugs on my Silhouette Cameo and appliqued them onto the blocks. I love the minky I found for the backing! This month, I found a section of a bowling alley lane on Craigslist. I needed just a little extra height on my craft table, but all the casters I found were too high. The lane is 2" thick, and perfect!. I put it on top of the unbored door that served as my table top before and it was done. It is super heavy so that baby's not going anywhere! I love how it looks!! Of course, now it's covered by my ironing pad and cutting board. The other reason I was looking for a second top is that I didn't have enough space between the door and the IKEA shelves for my clamps to attach. I've been having to go to the basement to use the table there for sandwiching. Now I'll be able to do everything in my craft room! 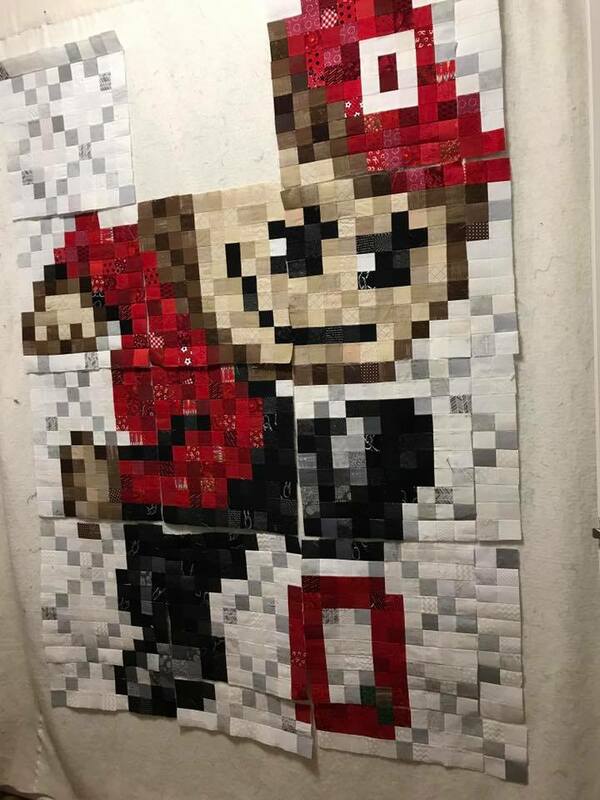 Charity quilt: Pixelated Brutus. I made great progress on this one while I was waiting for the minky to arrive. Charity quilt: campers. Haven't started. 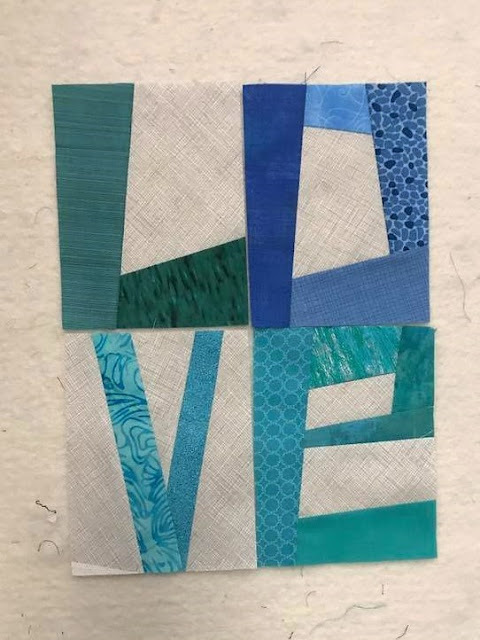 Wedding quilts: design quilts for J&T and E&J. Both designed. I made one block for J&T, who were married last night. quilt from Dare to Be Square--nope. Bee Hive 2017: complete March block--done! Milky Way Quilt along: complete March block--done! Sewing...I didn't do any of this! 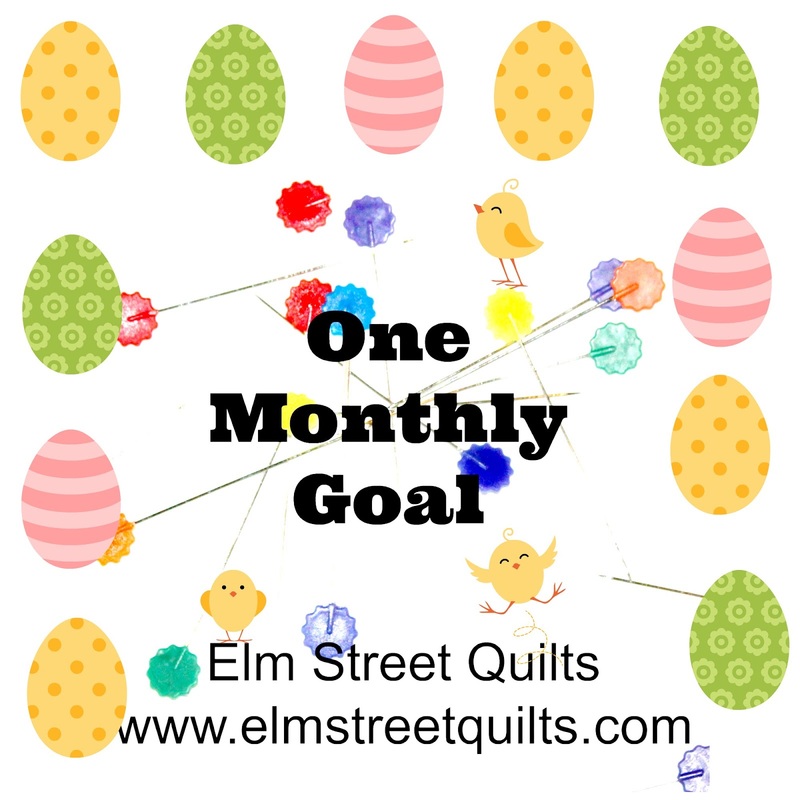 I'm hoping that May brings me good health and productive sewing time!! Cute ladybugs! Thanks for linking up with Elm Street Quilts One Monthly Goal and congrats on your finish. I love how the ladybug quilt stitched up! What a fun quilt! That is one cool tabletop!